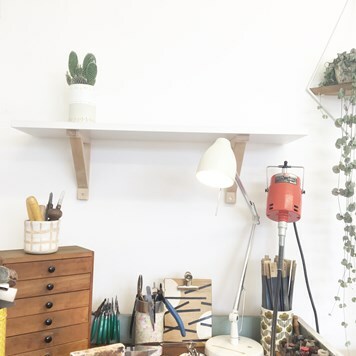 Today we're thrilled to introduce you to one of our very talented customers and jewellery designer, Lauren Griffiths from Little Joy Jewellery! 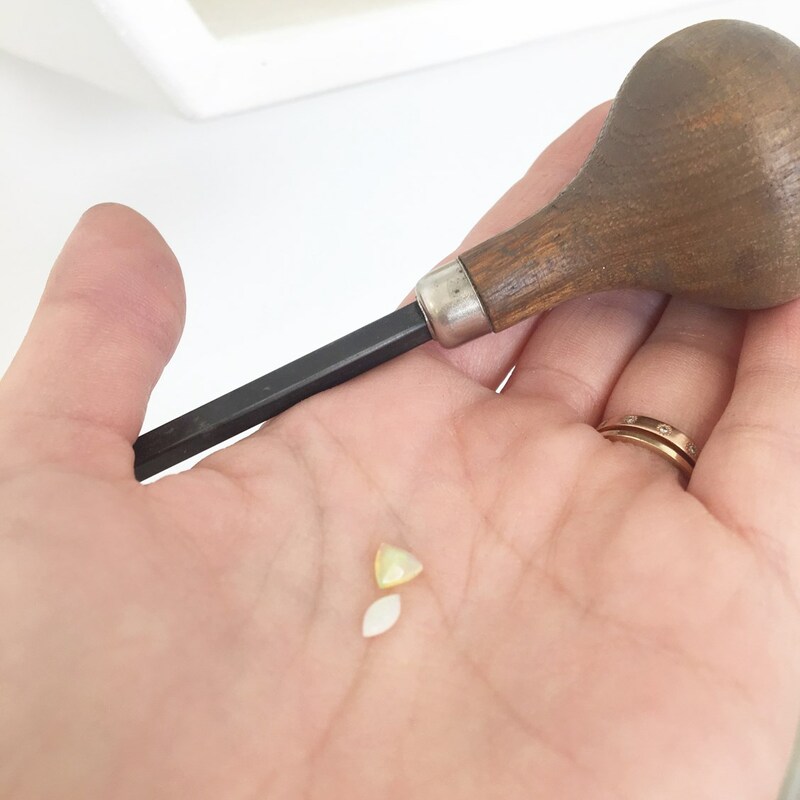 We invited Lauren to take part in a project using our beautiful opals - read below to find out what she created with these gemstones and find out more about life as a busy jeweller. 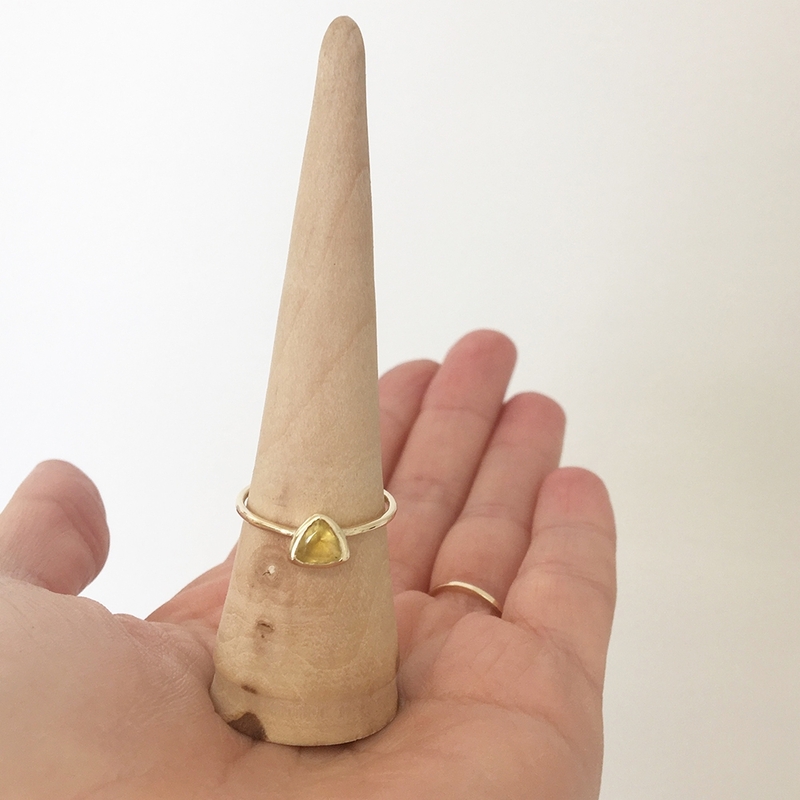 We adore Lauren's minimal creations and you may have spotted her in our blog post - 8 Minimalist Jewellers To Follow On Instagram Right Now. 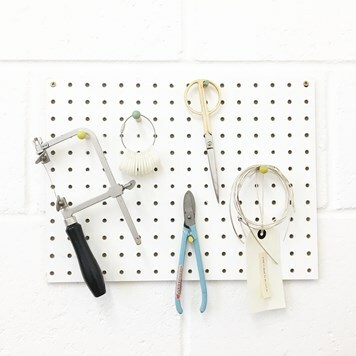 Here at Kernowcraft we have also created The Minimalist Collection - an array of jewellery supplies perfect for designing simple, elegant pieces that can be worn every day and we hope this project helps to spark some inspiration! 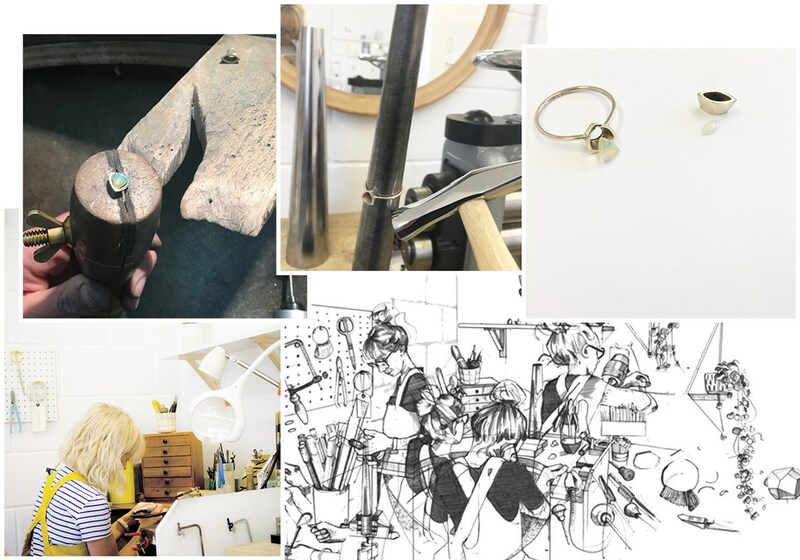 Lauren Griffiths is an artisan jeweller maker and curator living and trading on the Isle of Wight. Trained as a fine art jewellery maker, Lauren achieved a BA Honours Silver & Gold-smithing degree in 2010 and founded Little Joy Jewellery in 2011. 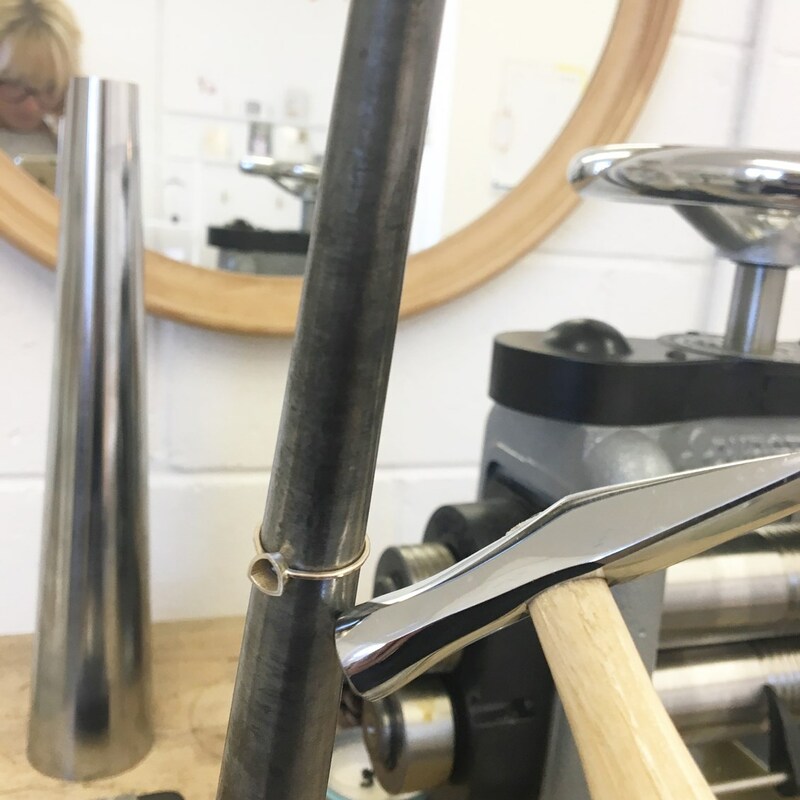 Naturally seeking harmony and quality through her craftsmanship, Lauren applies traditional methods manipulating raw materials to produce modern, contemporary jewellery design. In her aspiration toward the creation of sensitive, subtle, and minimal pieces, Lauren crafts a delicate and unique aesthetic that is evident throughout her whole range of jewellery and bespoke designs. 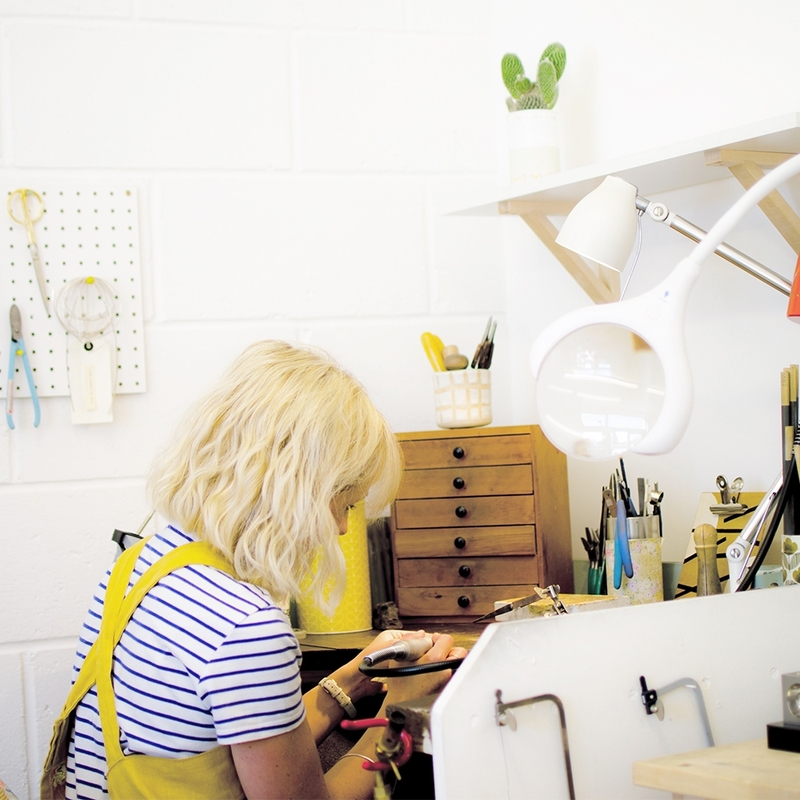 As well as offering a comprehensive range of unique Little Joy Jewellery pieces, Lauren offers a bespoke commission service and carefully creates beautiful, modern jewellery design suitable for any occasion. Lauren is a Fairtrade-Certified Jeweller, and strongly believes in the responsible sourcing of raw materials for her craft. 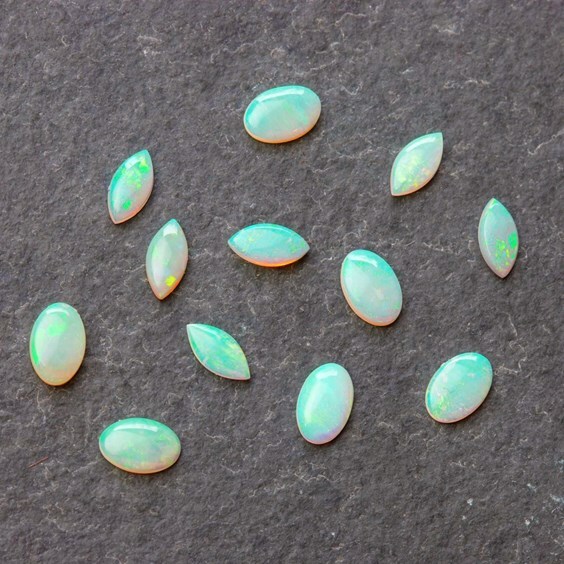 Opals are a popular gemstone, from opalescent precious opals, yellow-red fire opals to the common opals - there are many stunning variations to choose from and incorporate in your jewellery designs. You can shop all of Kernowcraft's opal selection here. "The beginning of a studio day begins with lists! I make an organised timetable of my day. 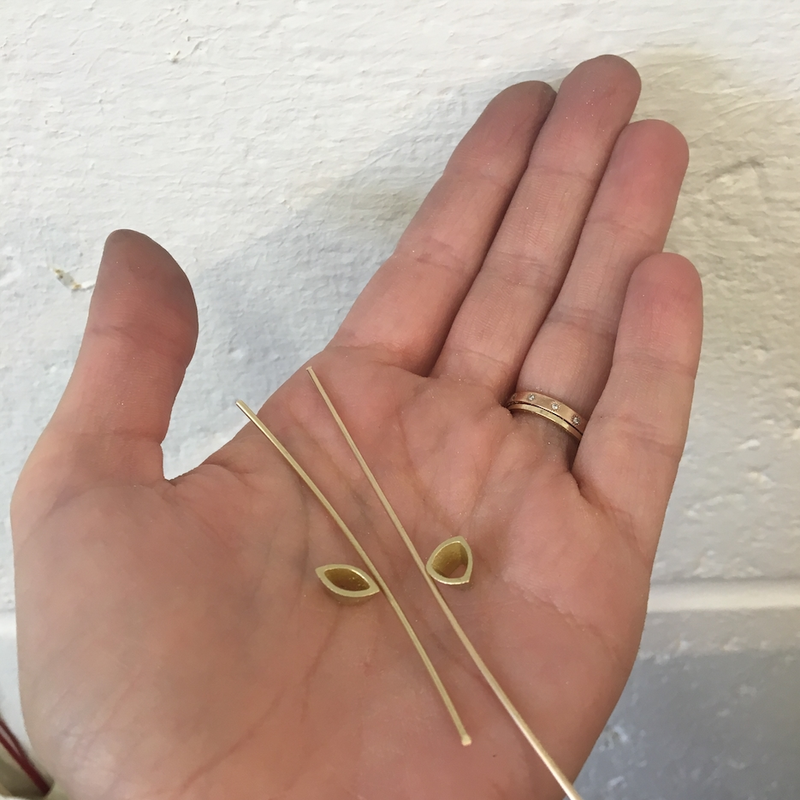 "After having two babies my making time became quite limited and to save working all throughout the night to finish orders, I started timing myself on how long it took me to make certain components/pieces. This has not only helped my time efficiency, it has also helped me work out how much stock I can make each week for wholesale and also work out a recipe for a design process for any bespoke pieces. 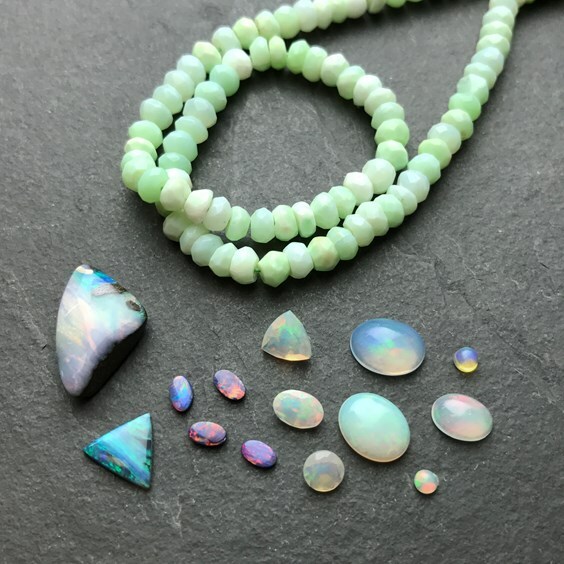 "On receiving these beautiful opals I estimated they would take a full day in the studio so here you can see what I got up to!" 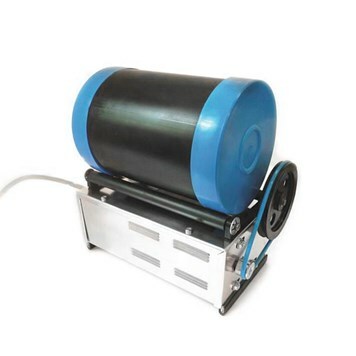 "The stones are accurately measured. I wanted to make two alternative pieces with these stones, so I decided upon a ring and a pendant to add to my layered pendant collection. "Both pieces look beautiful against a golden glow so I am going to show you how I use fairtrade gold to make the pieces. "First I spend a long time sketching and relating this idea to the body, thinking about the longevity of the designs and how they would be made and how they can be worn. "After measurements are taken and a design reached, I commit to this idea to stop my self procrastinating which is a habit I fight with on a daily basis. I think it's more to do with confidence and the courage to commit to an idea. "If it doesn't challenge me there no point making it - I love to learn and develop with each piece." "Using gold sheet I produced the collets and refer to the stone at all stages to make sure it's a good fit. "I don't want to over complicate the pendant as I want to show the tiny stone off to its full potential. I think it is wise that the collet setting will elevate the stone and give it a secure place to be set and be worn on a daily basis. This small piece will have a bit of weight to it so the movement when worn will help magnify the colours and vibrancy of this beautiful iridescent stone. "For the ring design, I started with the same process. Drawing and measuring the stone to get an accurate idea of how to make it! "I want the pieces to sit well next to each other so I decided to make it the same style collet. Both pieces will have a delicate plain rub over setting so this will elevate the stones and not look too heavy. "The ring shank is very fine 1.2mm and once attached to the collet I added a nice gentle planished finish to it with my lovely hammer 'Beatrice' - yes I name my tools! Once they are all filed and polished and made to size, I then start prepping to set the stones." 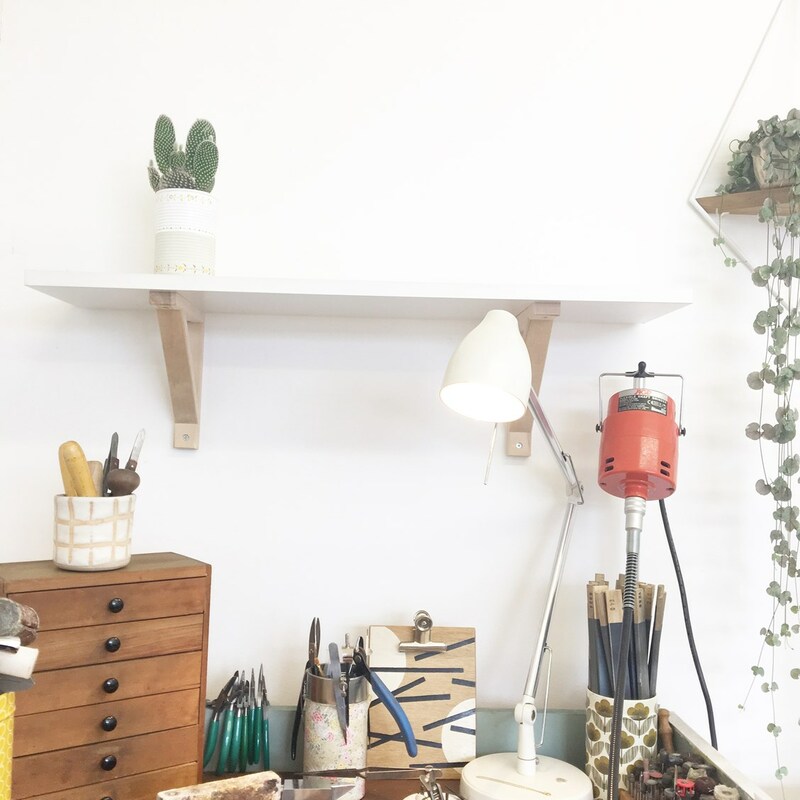 "Then for my favourite bit... a spin in the tumbler whilst I prep an area of the studio to photograph the pieces ready to list them in my shop! Once the stones are set I burnish all the edges for quite some time to perfect and strengthen the pieces. "Once they are complete I will try pieces on and make sure they are perfect. 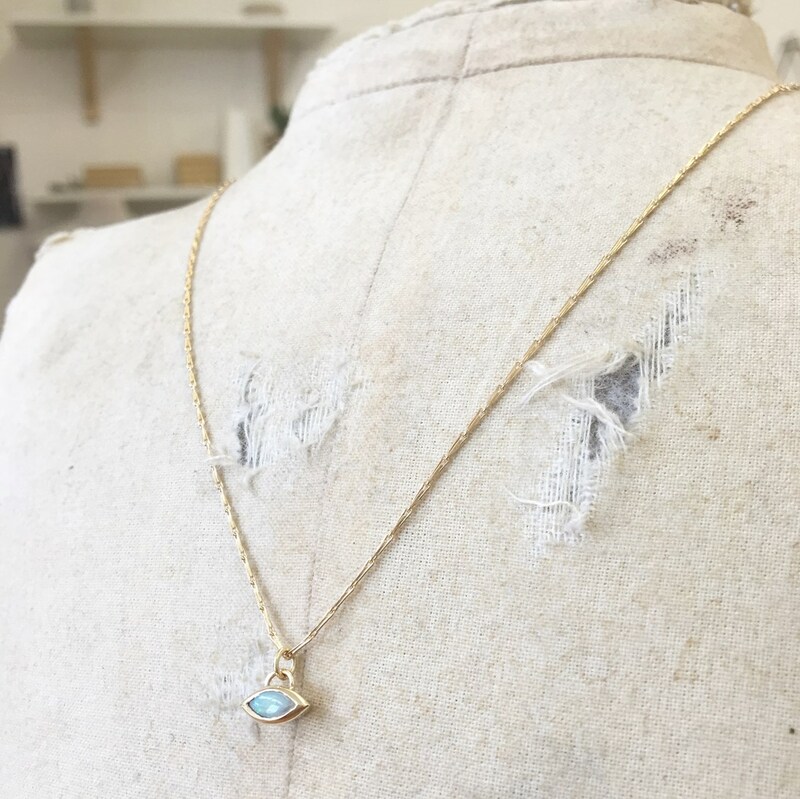 Each and every piece needs to be of a high-quality and standard before it leaves the studio - it's so important to me that each piece brings the wearer joy. "It has been lovely to utilise these beautiful stones from Kernowcraft, it's important to me that each material I use within each piece of Little Joy is responsibly sourced and to a high standard. 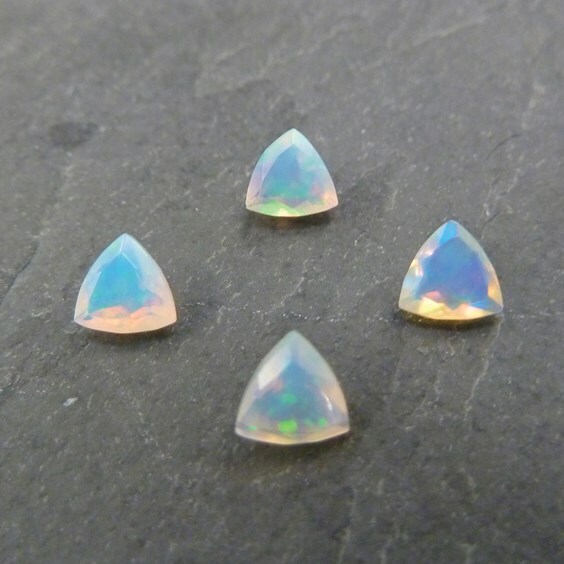 Kernowcraft supplied me many beautiful opals with my specific requirements to meet my aesthetics. "All the tools used above can be found at Kernowcraft apart from 'Beatrice' the hammer." The end result - stunning! Where can you find Little Joy Jewellery? 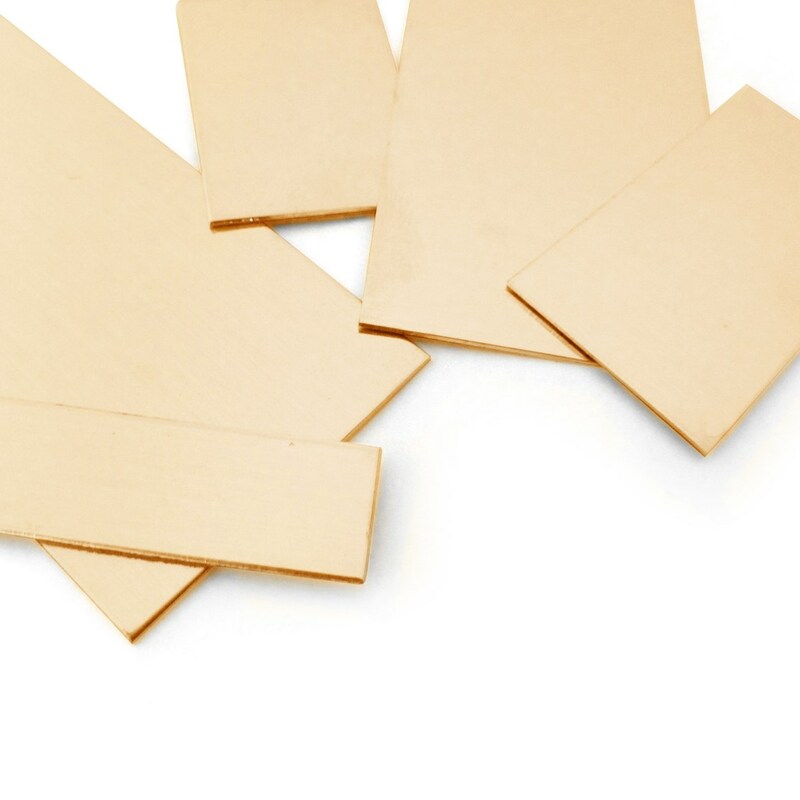 If you're a beginner in jewellery making, wishing to make a similar design to the one above, our pre-notched setting are perfect. At Kernowcraft we offer a whole range of pre-notched settings, for those wanting to create rings, pendants or earrings with their favourite gemstones. 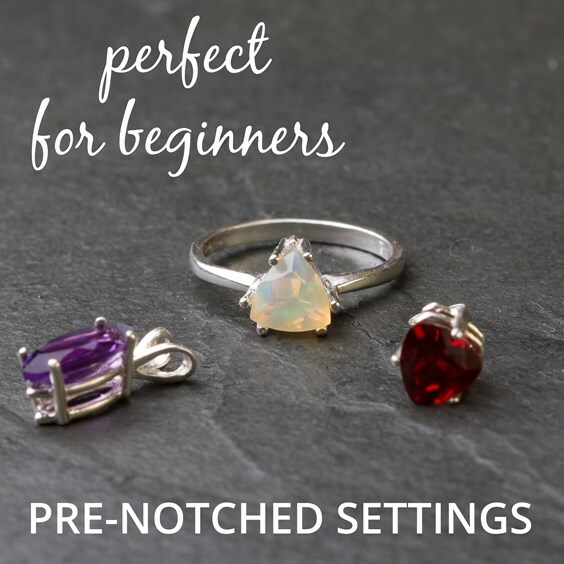 With pre-notched settings, all you need is your chosen gemstone and a pusher to gently push the claws around the stone. Discover opal and the many different variations available. 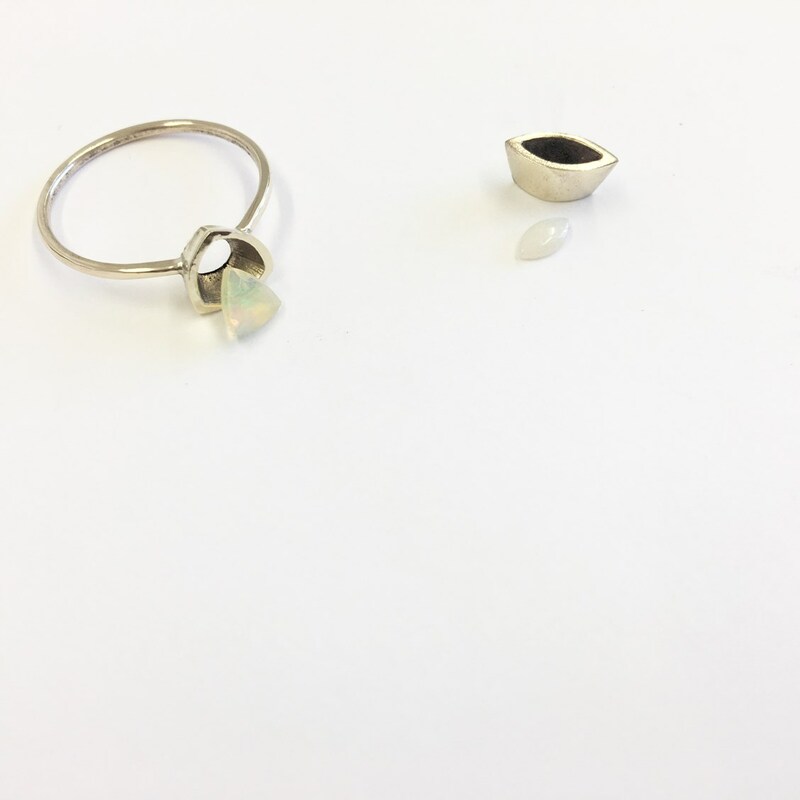 We also discuss how to take care when setting your opal within a setting, looking after opal jewellery and also the myths behind the gemstone.